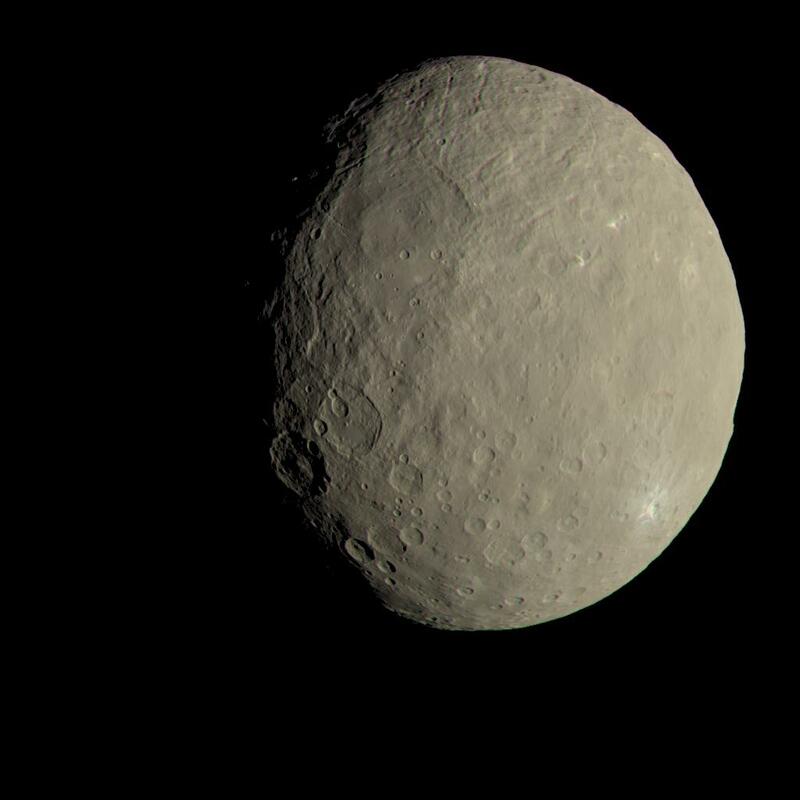 Ceres is the largest object in the main Asteroid Belt and the closest dwarf planet to the Sun! 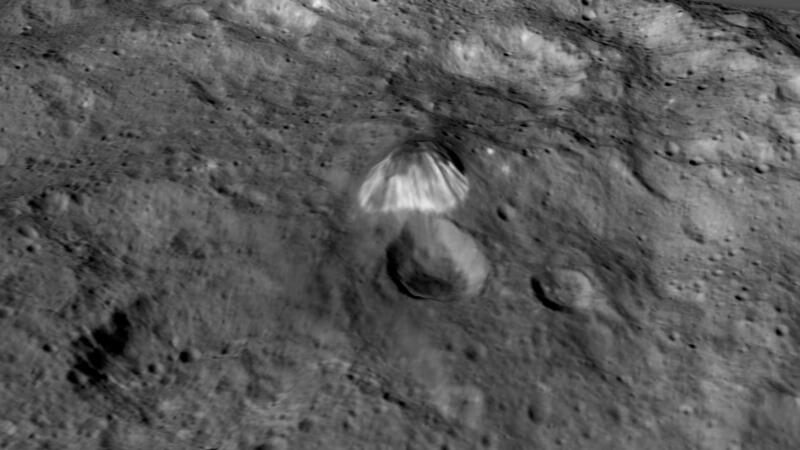 Ceres is also considered to be by far the smallest object in the solar system that is in hydrostatic equilibrium (rounded by gravity)! 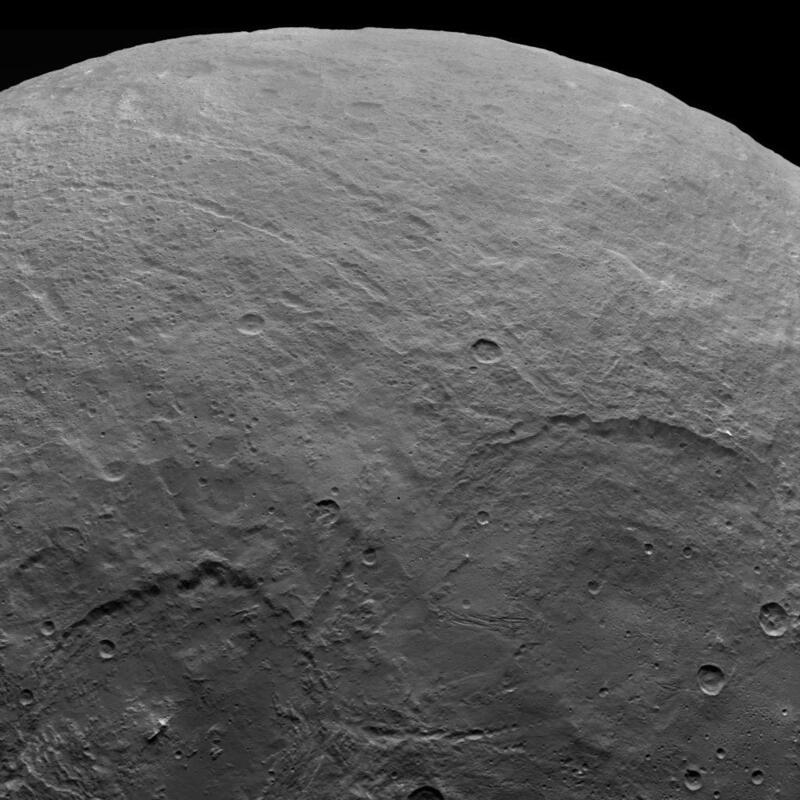 Fast Summary Facts About The Dwarf Planet Ceres! 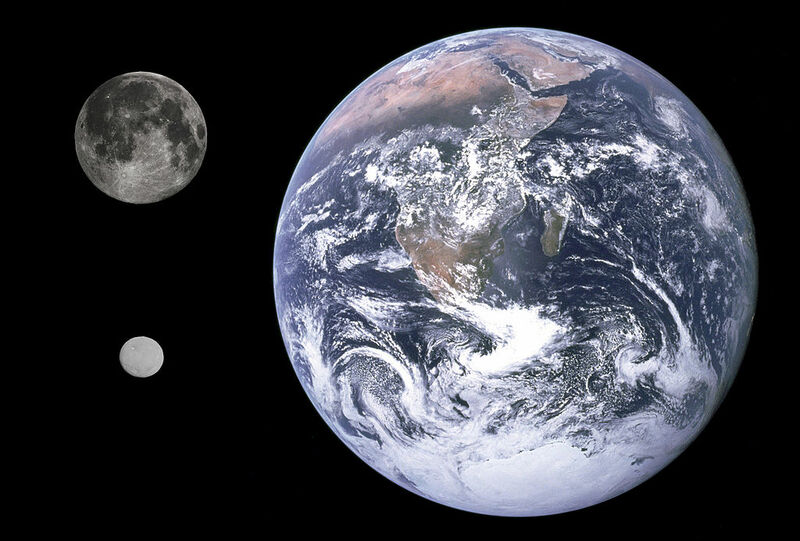 Size: Average of 946 km – similar size to Texas! 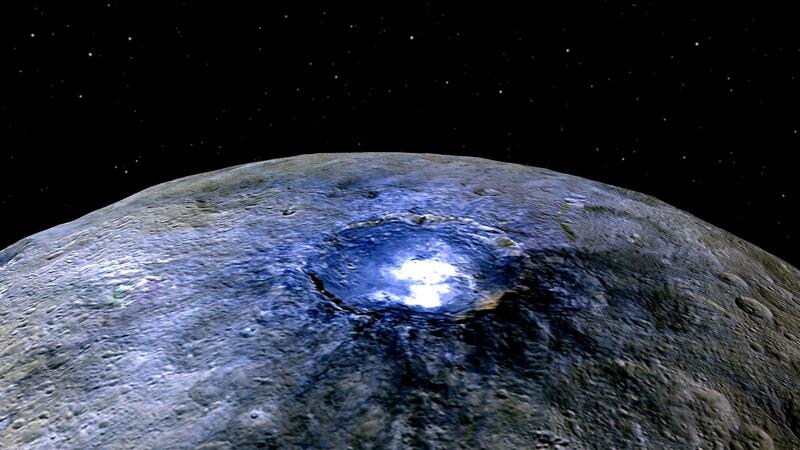 Learn More Interesting Fun Facts About Ceres! 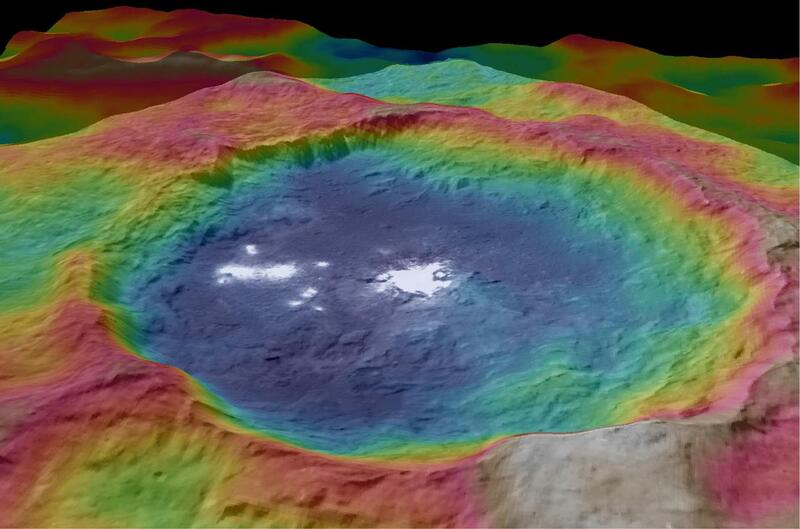 During the 18th and early 19th century, the search for the ‘missing planet’ between Mars and Jupiter continued. 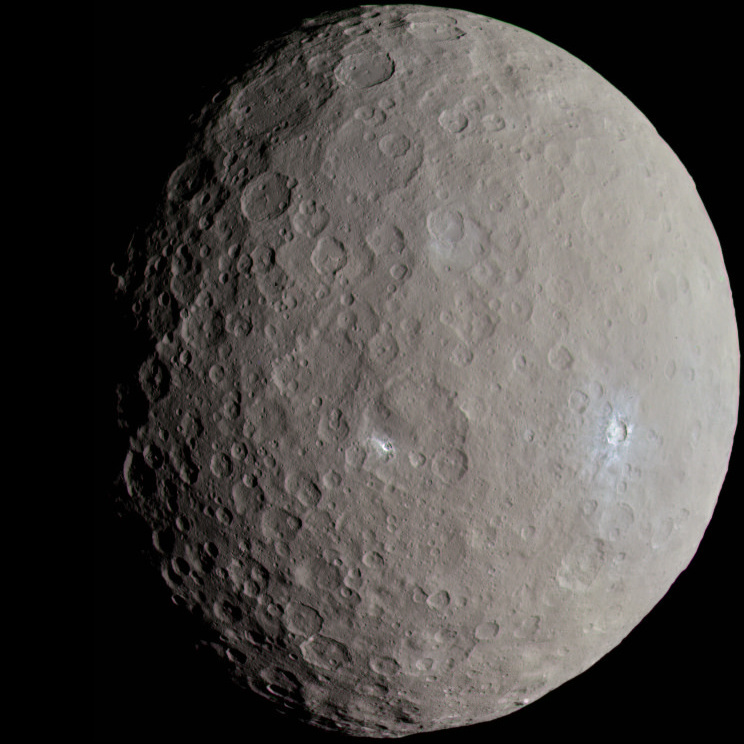 Ceres was the first object to be discovered and was initially thought to be a planet, but turned out to be the largest object in what would become known as the Asteroid Belt. 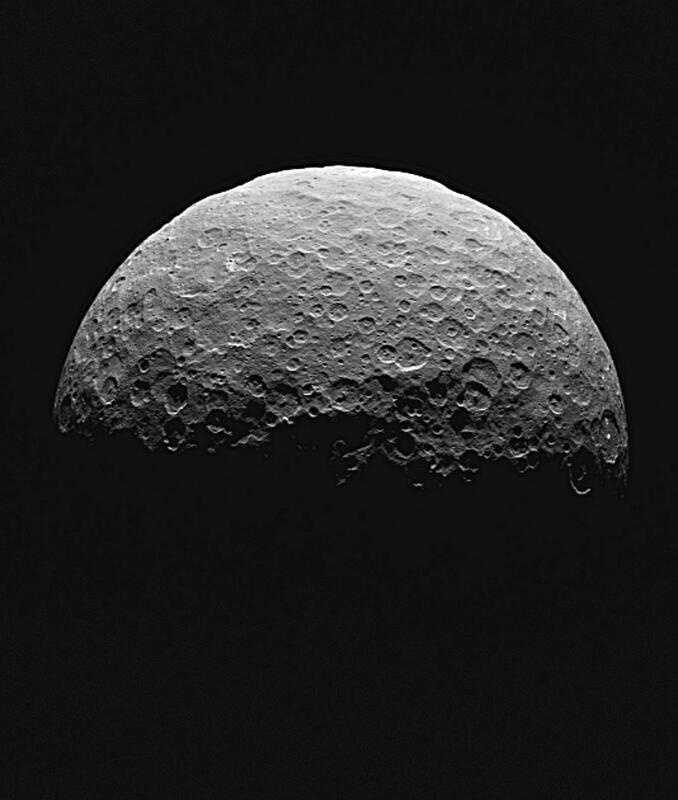 For the first 50 years after its discovery Ceres was thought to be a planet, then a minor planet/asteroid, but in 2006 astronomers determined that Ceres was a dwarf planet like other minor planets of the outer solar system. 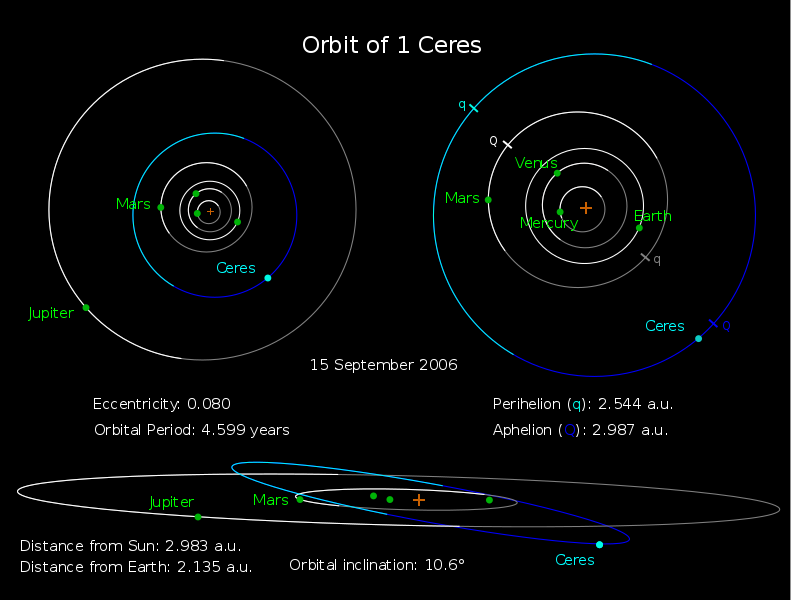 Even though Ceres is the largest object of the main Asteroid Belt comprising a 1/3rd of the total mass, it is only about 1/5th the mass of the next largest dwarf planet - Makemake! 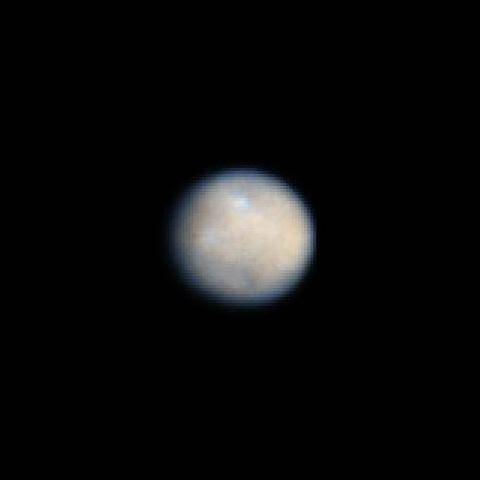 With a rotation of 9 hours, Ceres’ day is one of the shortest in the solar system. 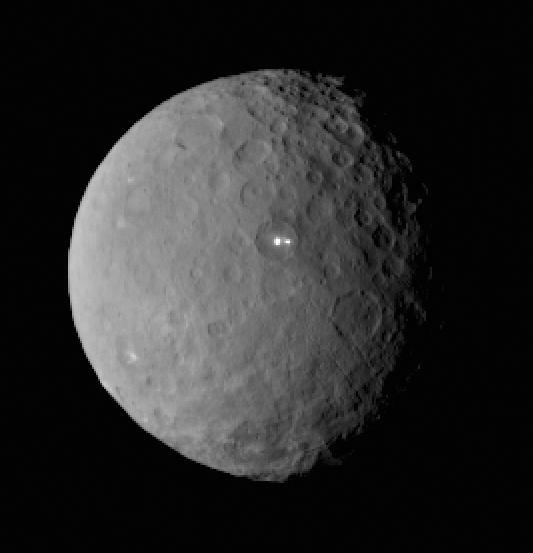 An axial rotation tilt of just 4 degrees means Ceres spins nearly perfectly upright and therefore doesn't experience seasons like Earth and some other bodies in the solar system. 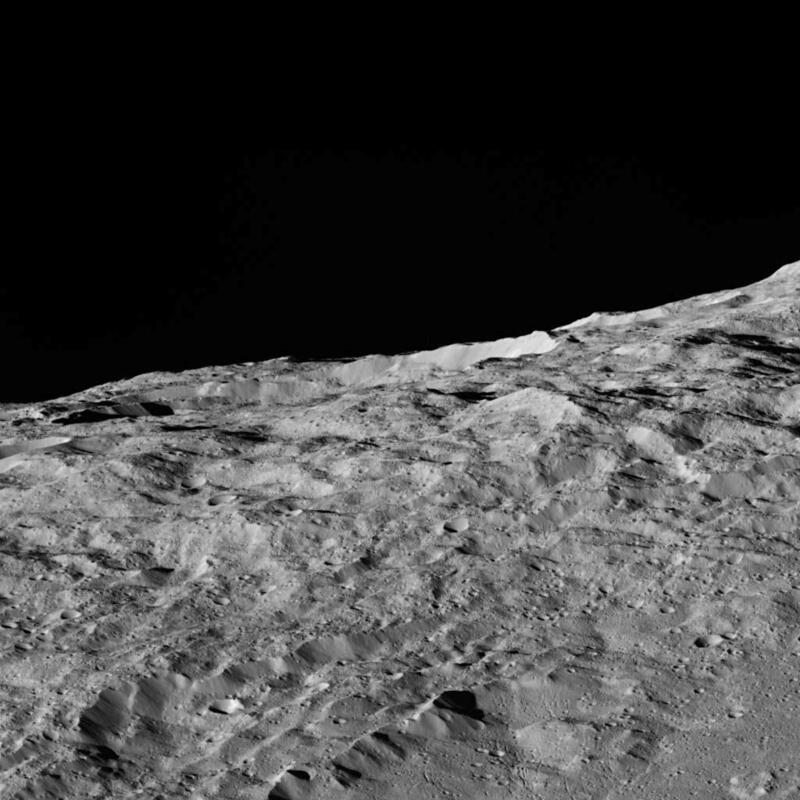 Ceres is the smallest object in the solar system to be in hydrostatic equilibrium (rounded by gravity) – it’s 580 km smaller than Saturn's moon Rhea, the next smallest such object! 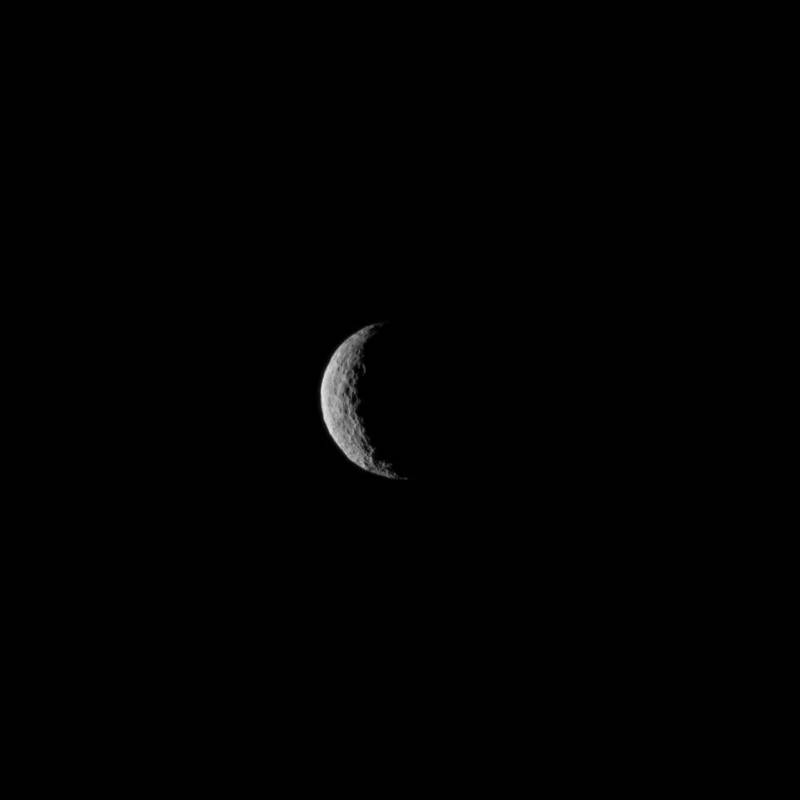 The internal structure of Ceres is thought to be closer to that of the layered inner terrestrial planets than its asteroid neighbours. 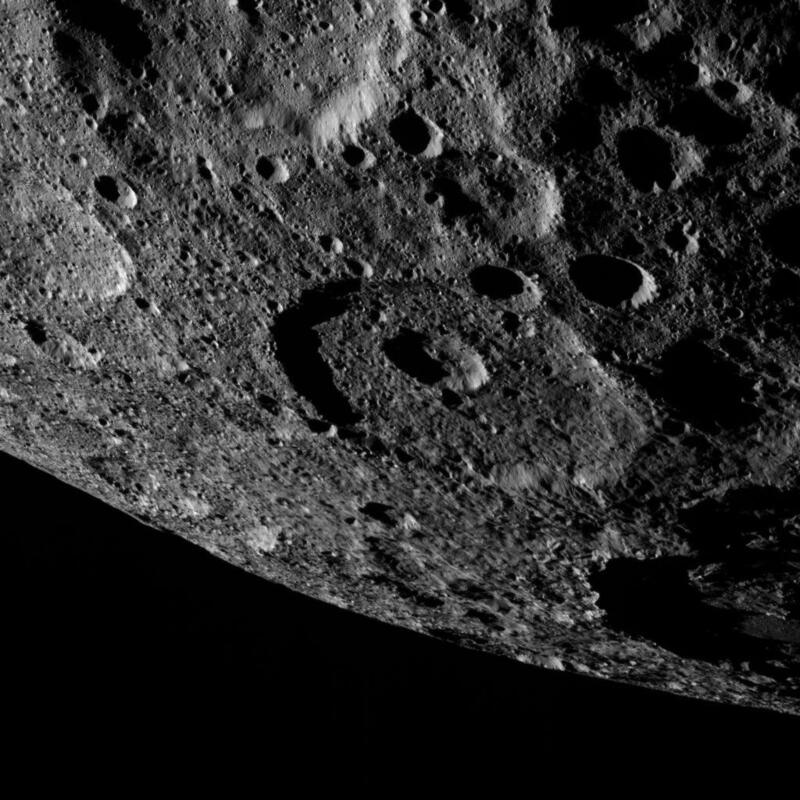 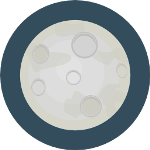 A solid rocky core likely underlies a mantle of rock/water-ice and possibly some salty subsurface liquid water. 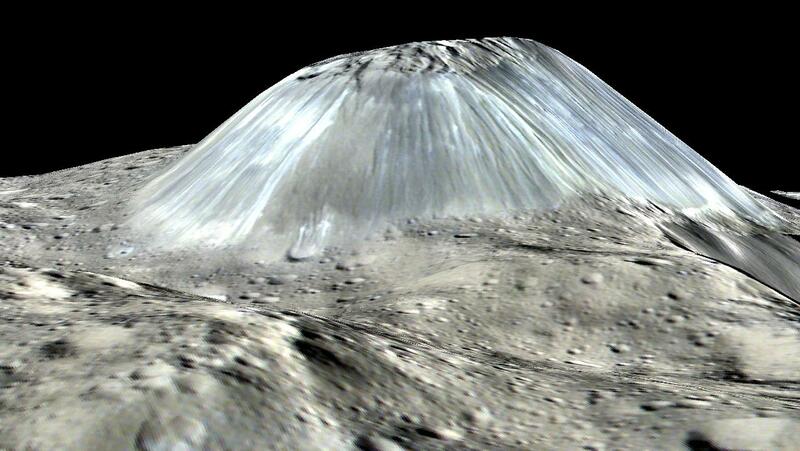 In fact, some scientists believe Ceres might have more water than Earth does! 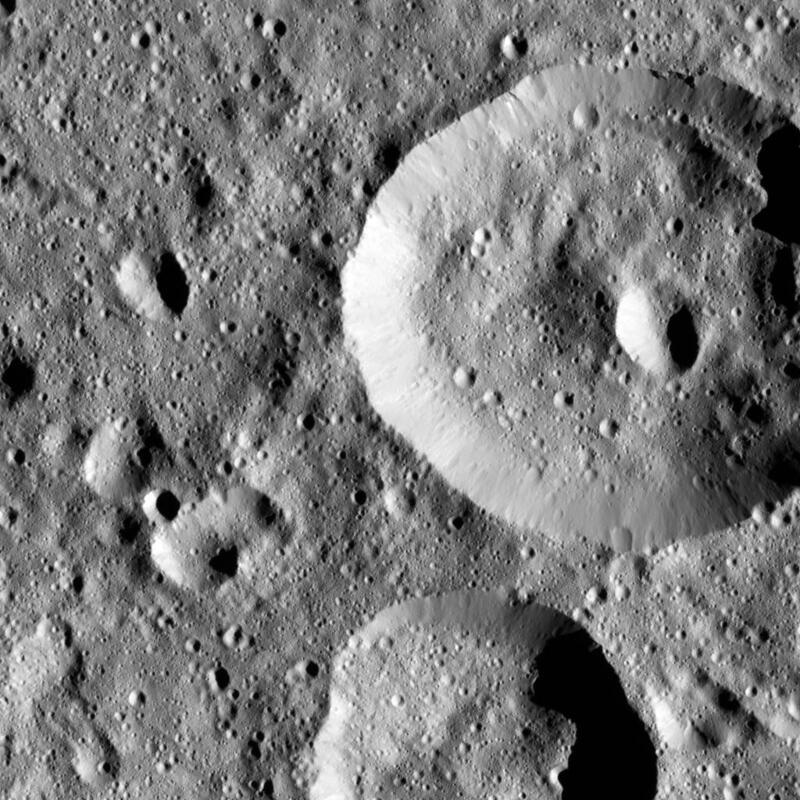 Ceres’ dusty surface is covered in numerous small, relatively young craters, but a distinct lack of larger ones which hints that the icy surface (or cryovolcanoes) might have erased the larger older craters. 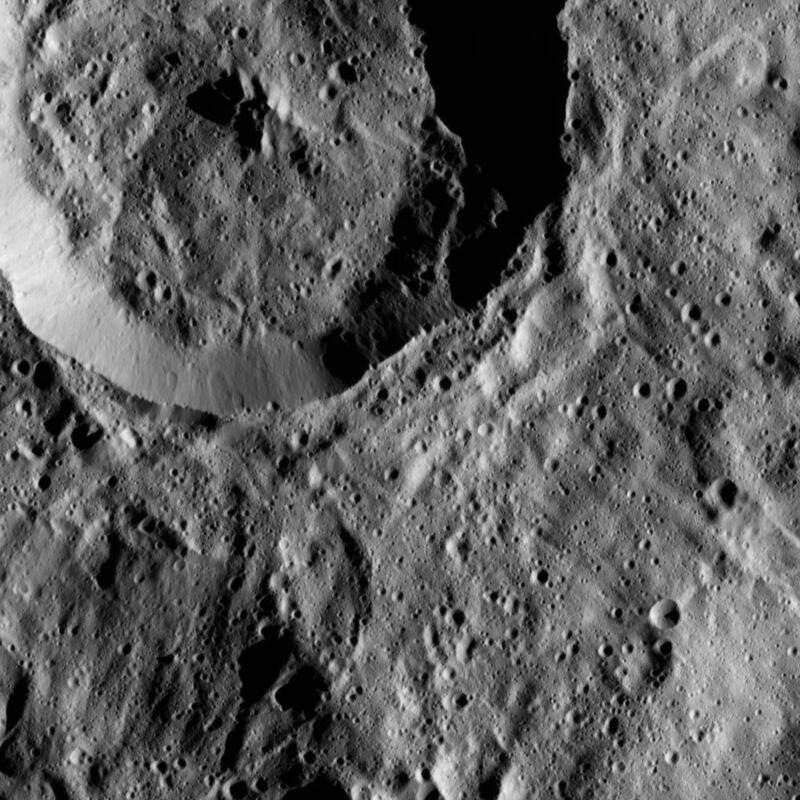 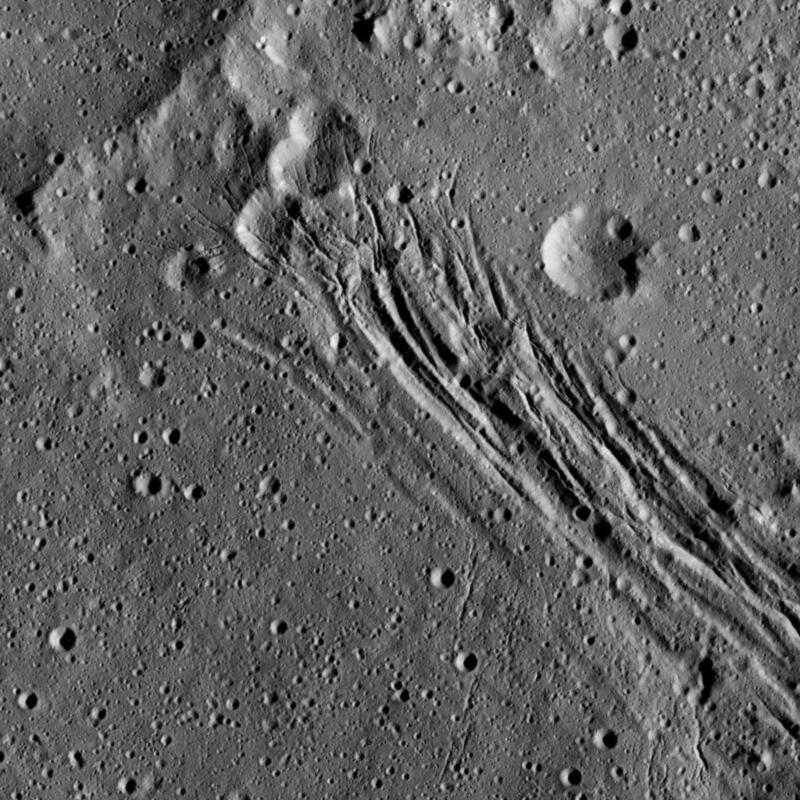 One of the dominant features on Ceres is a mysterious 5 km (3 mile) high mountain known as Ahuna Mons, which appears to be a cryovolcano due to its steep relief and lack of craters! Another of Cere's unique surface features are several bright spots such as the ones located within the 80-kilometre wide Occator crater. 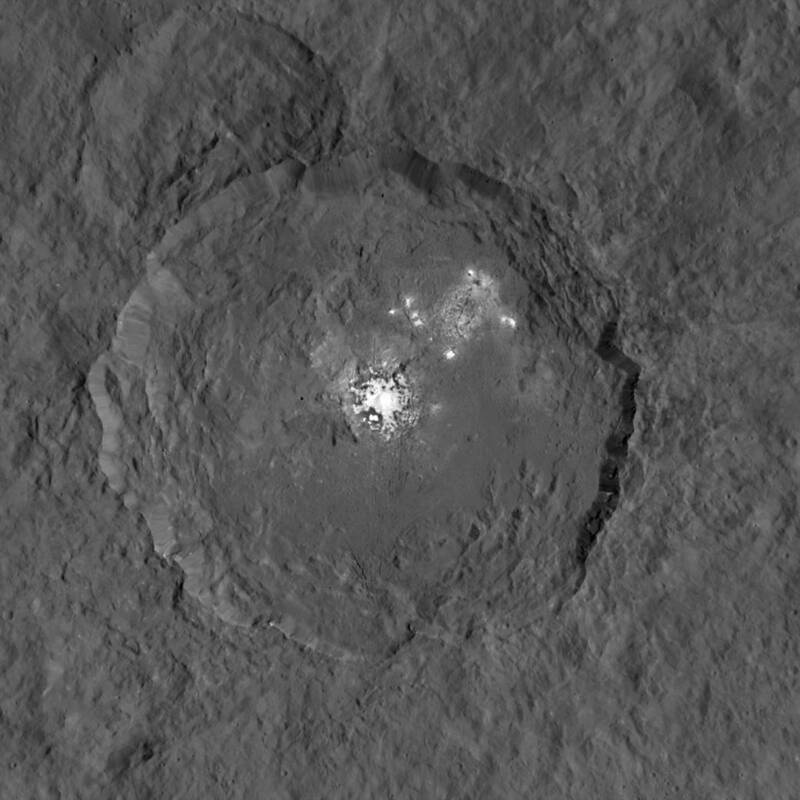 The spots are likely the result of substances such as ice or salts reflecting sunlight! 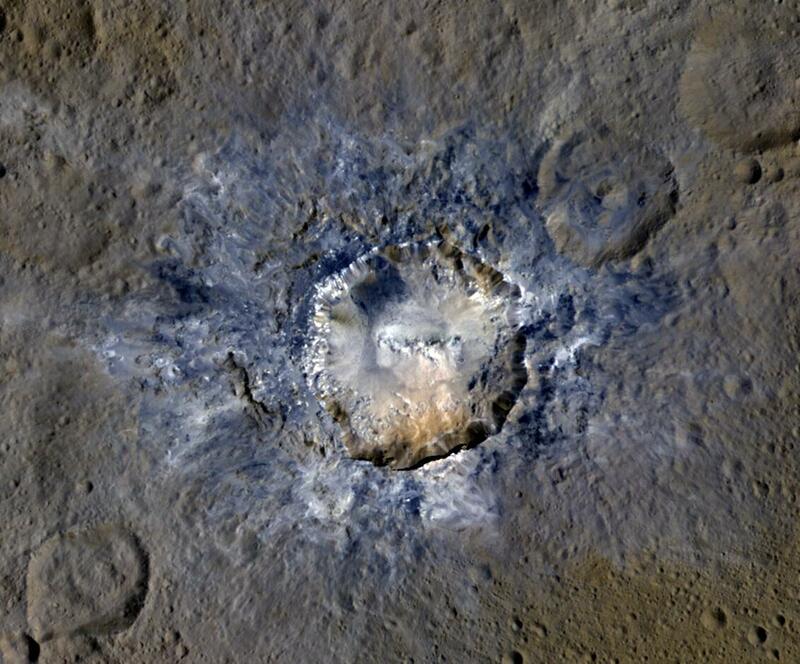 Ceres has also been found to have a tenuous atmosphere of water vapour which maybe created by cryovolcanoes, from ice exposed by recent impacts or the transforming of water-ice to vapour which migrates to the surface and is eventually lost to space. 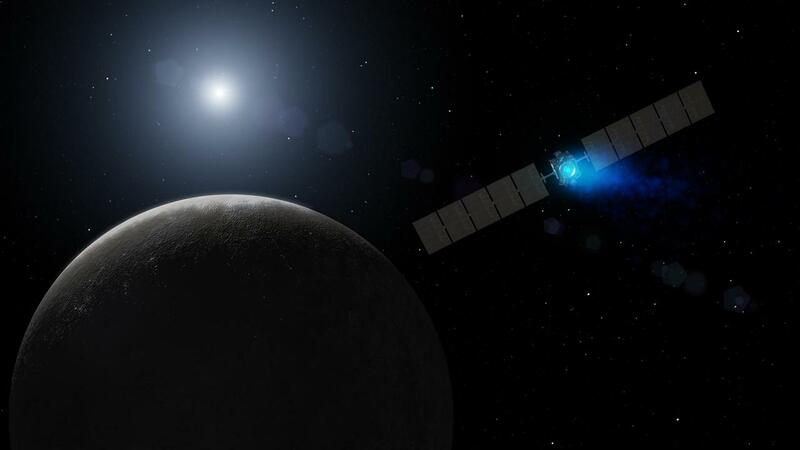 Ceres is believed to have formed during the accretion phase in the early Solar System about 4.5 billion years ago but remained as a ‘protoplanet’ which didn’t merge with an existing planet or go on to form its own. 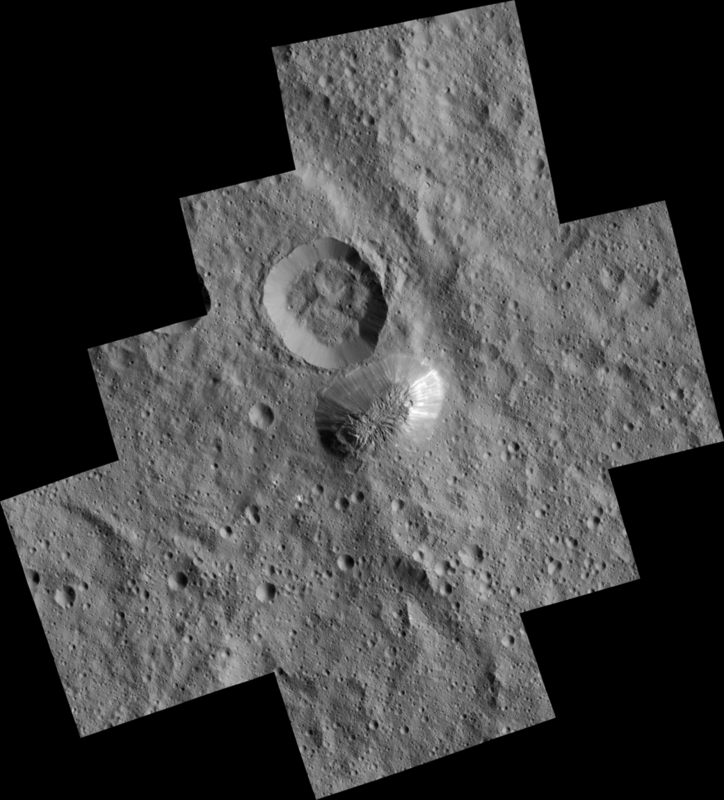 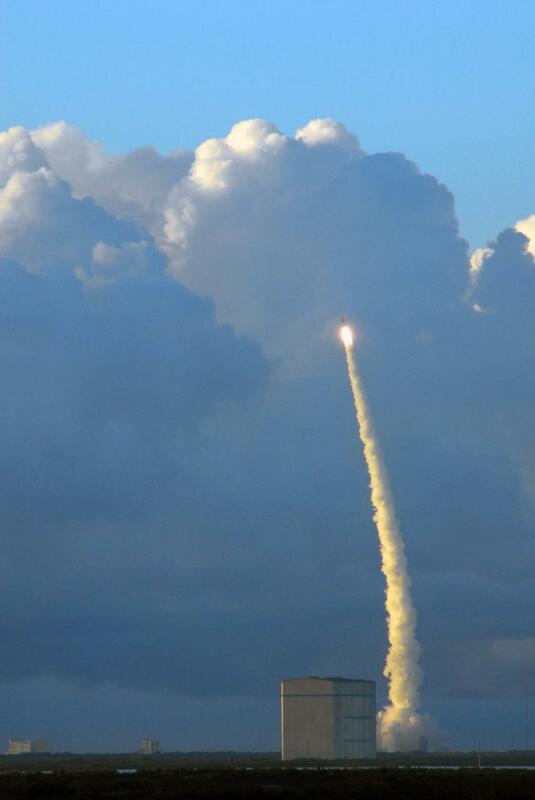 Following the Dawn spacecraft's mission at the asteroid 4 Vesta, the probe entered orbit around Ceres in March 2015 to study its surface, composition and history becoming the first spacecraft to orbit two objects in deep space!